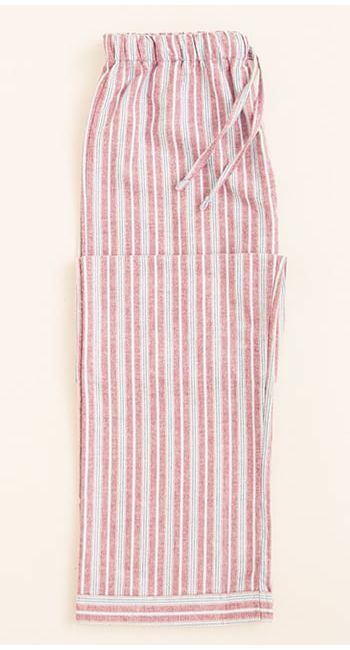 Introducing another cosy addition to our ladies brushed cotton collection - this time in a vintage red and aqua stripe. 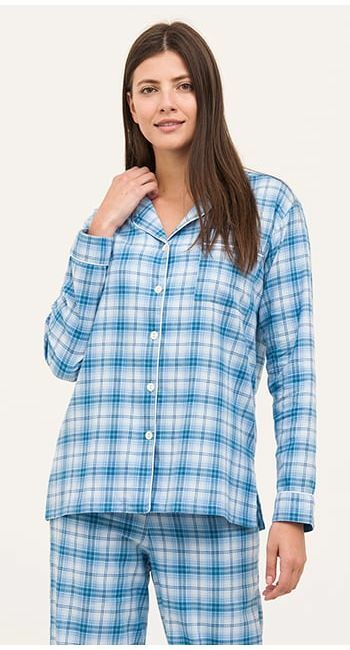 Available in our regular and tall leg lengths. 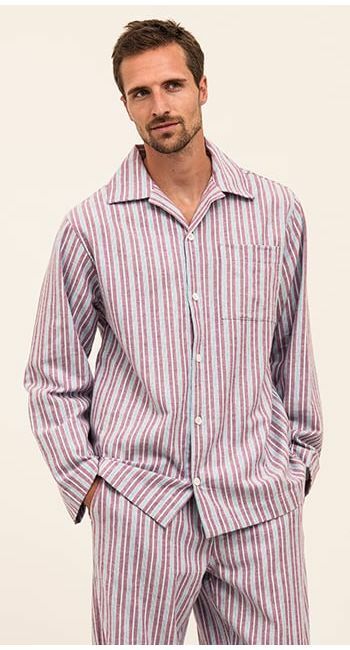 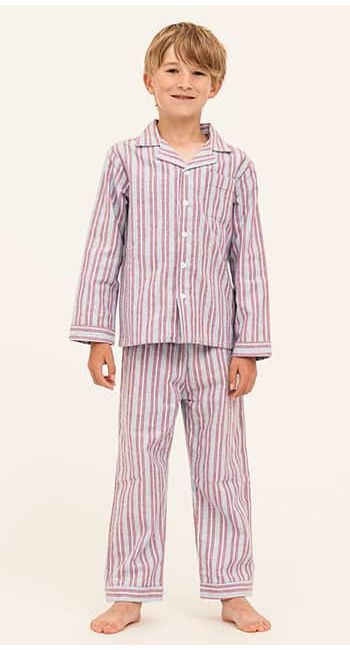 This fabric is also available in the men's and children's collections for those looking for matching family nightwear.